Home » life » Free e-books for everyone! As much as I love shopping in local bookstores, money is not an overflowing resource to typical employees like me. When I was just starting to work, I was prudent enough to finish a current read before tripping to the bookstore. As my love for reading grew stronger, I discovered a way to avoid waiting for payday to purchase a book. Blame everything to the evil plastic rectangular devices, credit cards! When I received my first credit card, I would swipe for the most awaited books. It gave me happiness but another problem later occur. I started to hoard books. As a result, I now have tons of books waiting to be read at home. When money was no longer a hindrance, another set of reading problems came in. I'm fighting for the time and the will to choose reading over sleeping. I now have my own share of those grown up's childish problems. You can read more about this story here . As much as I'd love to purchase all the books I want, I also can't accommodate them in my own space at home. I don't even own a decent set of shelves to house my growing book collections. Most of my books are either neatly piled in my lone struggling shelf or found everywhere in our home. I have discovered though one solution that can address the money, space and my endless desire for books. I use my iPad to house my e-books. 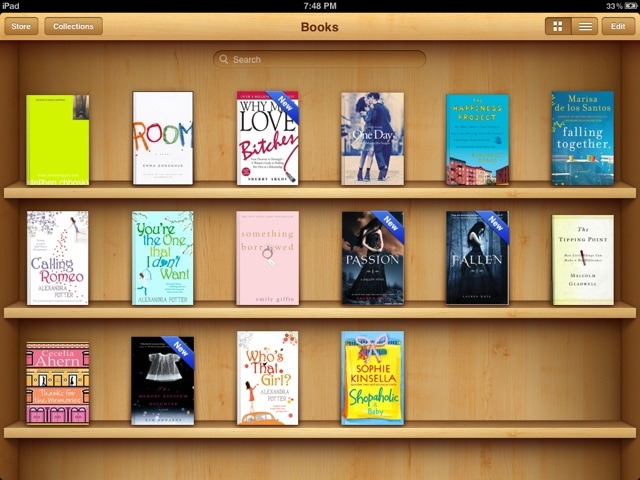 iTouch, iPhone and other Apple users can easily enjoy e-books in their own iBooks. However, Android users or even those who own a Windows based PC or laptop can also enjoy e-books. I have seen a number of applications and platforms that provide FREE e-books. However, most of them usually provide limited collections. My recent discovery though led me to a site that archives a lot of FREE and UPDATED e-books. Apple users can easily download and enjoy the e-books as it directly goes to their iBooks. Windows users should first install Adobe Digital editions, which is available for free, to download e-books. Though I have to admit that I still prefer the feel and smell of the pages of a printed book, trying e-books has its own share of advantages too. For one thing, I can spare my money for savings and other worthwhile activities like traveling. Try ePub Bud and tell me about your downloads. If you know other platforms and applications that provides free and updated e-books, spill the beans! I would be glad to hear your discoveries. Hi Diane! Oh, this is a great idea. My hubby has an IPad so we could do this! It's alwasy so good to hear from you. Hi diane, i love to read too, try din ako magdownload. Thanks.